It started with a simple request, and seemingly overnight, the foyer of New Castle Elementary School was completely taken over. To help commemorate Veterans Day, New Castle’s school counselor Margaret Martin and Military Family Life Counselor Donnelle Riccio worked to find a new way to honor the veterans in the school community. 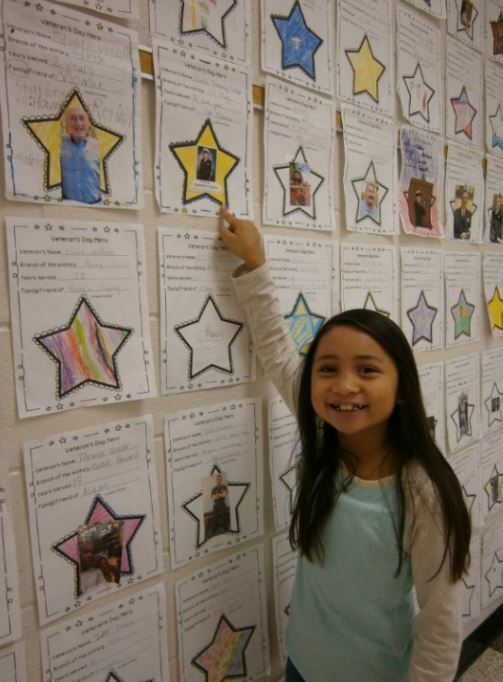 Flyers were sent home to the entire school asking them to help honor their “Veterans Day Hero” – the flyers had prompts for families to complete about their veteran as well as a place to add a picture of their military hero. Veterans from every branch of service from World War II to the present are represented, filling a wall from floor to ceiling and spilling onto other walls around the school. 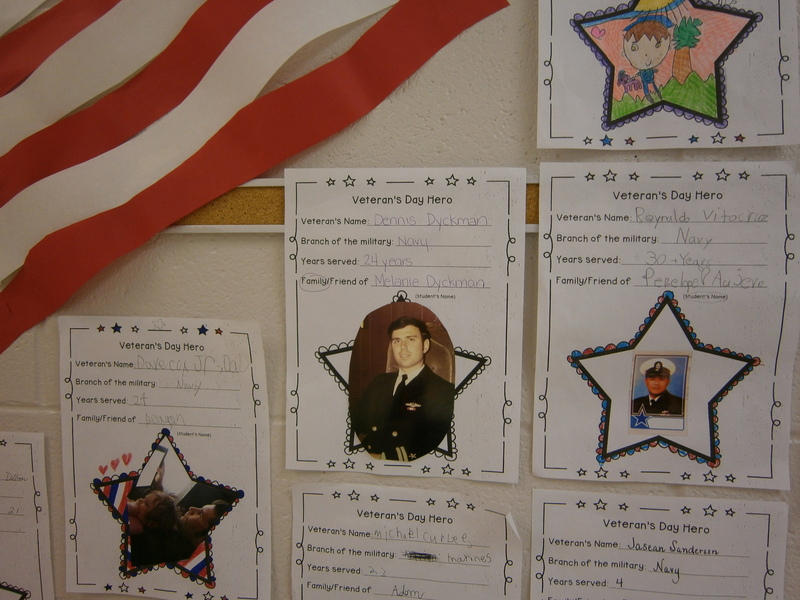 Quinn added that the Veterans Day Hero project not only has been engaging for visitors to the school to see, it has meant a great deal to the students who participated. As an added bonus, the school held its annual Grandparents’ Day last week, where grandparents are invited for a special assembly and then welcome to visit classrooms to take part in the day’s lessons. 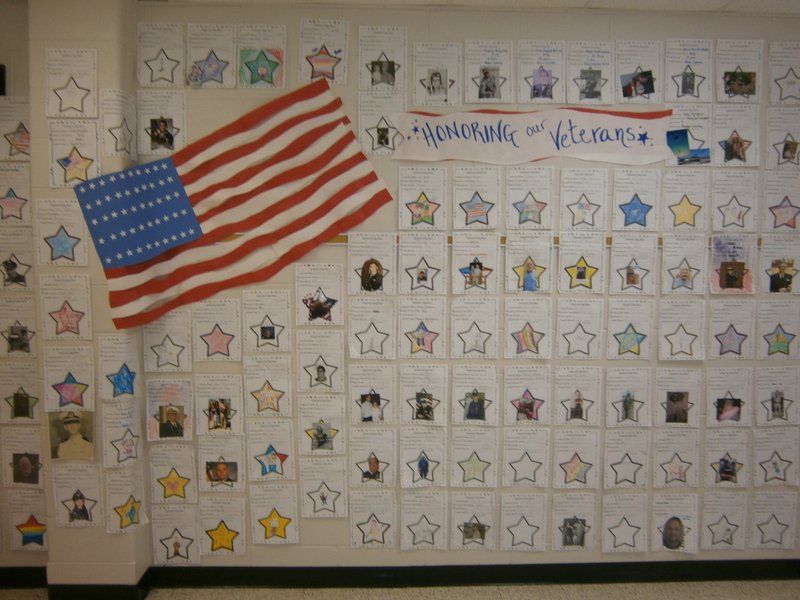 Many of the students walked their grandparents by the Veterans Day Hero display, so they could show where their family members (including the grandparents themselves) were on the walls. Quinn said that the grandparents themselves were taken aback by how many participants they had, and that they were touched to be a part of it.